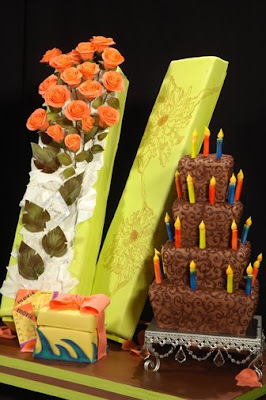 Sedona Cake Couture: Long Stemmed Sugar Flowers in a Box! Long Stemmed Sugar Flowers in a Box! 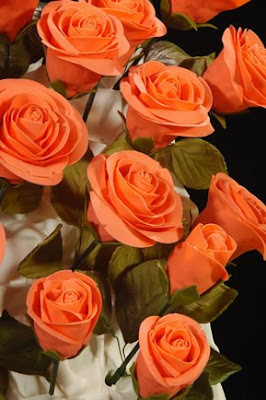 This amazing showpiece includes a box and lid (made out of cake) and hand-made sugar roses. The choc0late birthday cake is decorated with sugar candles!! Wish I could buy this for my wife for our anniversary! It's totally awesome! It's Christmas at Sedona Cake Couture!